Salem’s offense finally awakened from its depressing June doldrums, but Myrtle Beach countered every Red Sox rally with something bigger and better to ultimately prevail 10-8 in front of 4,386 on Monday night at LewisGale Field. Both squads delivered five run innings and the two clubs combined for 24 hits, but a few pivotal plays allowed the visiting Pelicans to hang on and hand the Red Sox their sixth straight loss, all of which have come by three runs or less. For all intents and purposes, the proceedings appeared fairly normal through five innings, with Salem ahead 2-1 thanks to some excellent starting pitching from Anthony Ranaudo. With one out in the top of the sixth, Ranaudo’s 0-2 pitch sailed over the healthy part of the plate, and Leury Garcia singled to center. The 0-2 knock opened the floodgates to a five-run inning for the Pelicans, with four straight hits coming off Ranaudo to knock him out of the game and spoil his statistical line. Former Red Sox prospect Chris McGuinness (part of the Jarrod Saltalamacchia deal) delivered a clutch two-run single to give the Pelicans a 4-2 lead and chase Ranaudo from the ballgame. McGuiness later scored when Mitch Hilligoss cracked an RBI double off Kendal Volz, and Hilligoss crossed the plate on the ensuing triple from Jared Hoying, surging the Pelicans to a 6-2 lead. The Salem sticks had mustered just six total runs in the previous five games, but the Sox offense retaliated with an appropriate response to Myrtle Beach’s five-run sixth. In the last of the seventh, the Sox rallied for five of their own. Two Pelican errors aided the rally, but the Red Sox loaded the bases with a walk, a hit-by-pitch, and a Myrtle Beach miscue with nobody out. After Bryce Brentz struck out, Dan Butler came within a few feet of jacking his third grand slam of the season (in just four at-bats with the bases juiced). Butler’s blast landed about halfway up the 20-foot fence and settled for a two-run double that sliced the four-run deficit in half. Shannon Wilkerson lined to short for the second out, but Leury Garcia booted David Mailman’s roller to short, allowing another run to score and letting the inning continue. Following the error, Zach Gentile and Michael Almanzar reached on consecutive singles that put Salem back on top 7-6. But Myrtle Beach was not done. In the top of the eighth, Mitch Herold entered and retired the first two batters via ground balls, but left with an injury after facing just two Pelicans. Michael Gleason was abruptly summoned and the Pelicans greeted him maliciously, as six straight men reached with two outs, scoring four runs to assume a 10-7 edge. Garcia singled to give the Pelicans an 8-7 lead, then was picked off first to end the inning, or so it appeared at first glance. But while field umpire Rich Gonzalez was about to punch Garcia out, plate umpire Matt Jones called a balk on Gleason, awarding Garcia second base and prolonging the inning. Gleason hit the next batter, walked the following man to load the bases, and then McGuinness hammered his second two-RBI single of the game to make it 10-7. As it turned out, those two extra runs that followed the balk call turned out to be the game’s deciding tallies. The Red Sox loaded the bases in the eighth with three consecutive one-out singles, prompting Myrtle Beach to call for closer Johan Yan. The sidearming righthander struck out Wilkerson, walked Mailman to force in a run, and induced a ground-out from Gentile to escape with the tying runs in scoring position. In the last of the ninth, Yan worked around a two-out walk, striking out Kolbrin Vitek to end the game and serve the Sox another excruciating setback. Salem fell despite three hits and three RBI from Butler, while Vitek, Mailman, and Almanzar each chipped in with two hits apiece. But the Pelicans countered Salem’s 11-hit total with 13 of their own, including three from Garcia and two from McGuinness and David Paisano. McGuinness’ four RBI were enormous, and the Pelicans hung on despite issuing five walks and making three errors. The Sox and Birds will have a very quick turnaround before Tuesday’s series finale. The two squads will square off at high noon on Tuesday, with Drake Britton and Wilfredo Boscan scheduled to start the early-afternoon matinee. 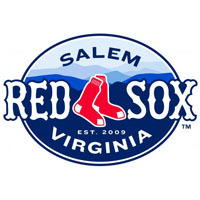 PROGRAMMING NOTE: Tuesday’s game can be heard live on www.salemsox.com at noon, while the broadcast will air on tape delay at 5 PM on NewsTalk 960 WFIR in the Roanoke Valley.